We accept visa, master card, American Express, e-check and Paypal. 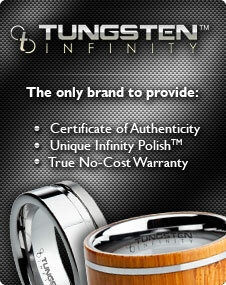 This is the most convenient and fastest way to purchase a tungsten wedding band . Your credit card information is securely encrypted using the most up to date technology available. Once your order is placed you will receive a confirmation by email. Many of our customers prefer to call us and talk to a real person when placing their order. You can call and speak to a jewelry professional at 1-800-699-8076. Our physical store hours are MONDAY - FRIDAY from 8:00 am to 5:00 pm MST. If you prefer to pay by check or money order please call or email us to let us know which item you want to purchase. This allows us to hold the item back for you so it doesn't sell before your payment arrives. Tungsten men's rings will be reserved for 2 weeks. Please include the item number, item description, price and shipping cost and finally your name and mailing address. Please allow time for checks to clear. We will send a confirmation email shortly thereafter.